The 2014-15 season begins with Mr. Brownlee returning to Seattle Opera for his role debut as Don Ottavio in Don Giovanni. He then returns to the Metropolitan Opera as Count Almaviva in Il Barbiere di Siviglia, which will be seen in cinemas around the world as part of the Live in HD series. Mr. Brownlee will perform with Opernhaus Zürich as Don Ramiro in La Cenerentola opposite Cecilia Bartoli, followed by his role debut as Ferrando in Così fan tutte with the Bayerische Staatsoper. He will also appear with Festspielhaus Baden-Baden as the Italian Tenor in a new production of Der Rosenkavalier under the baton of Sir Simon Rattle. 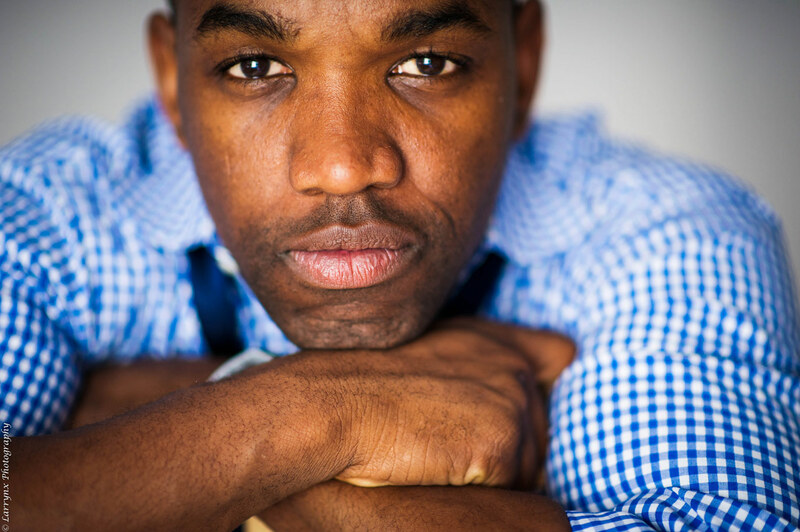 Other operatic highlights of Mr. Brownlee’s season include Tonio in Daughter of the Regiment with Pittsburgh Opera, and the title role in the world premiere of Daniel Schnyder’s Charlie Parker’s Yardbird, a work written specifically for him. Apart from his busy operatic calendar, Mr. Brownlee will perform recitals with the Van Cliburn Foundation in Fort Worth, the Tuesday Musical Association in Akron, and the Lied Center in Lawrence, KS. To round out the season, he will also perform with the Santo Domingo Festival and in a special bel canto concert curated by Joyce DiDonato with the Philadelphia Orchestra at Carnegie Hall. Mr. Brownlee began his 2013-14 season with Seattle Opera, where he appeared as Tonio in La fille du régiment. He then made his Los Angeles Opera debut as Tamino in a celebrated production of The Magic Flute by Barrie Kosky, conducted by James Conlon. In Europe, Mr. Brownlee appeared at the Wiener Staatsoper and the Bayerische Staatsoper as Nemorino in L’Elisir d’amore, Narciso in Il turco in Italia, and Ramiro in La Cenerentola. Other highlights of Mr. Brownlee’s recent season included Arturo in I Puritani with the Metropolitan Opera and at the Tivoli Festival, Narciso in Il turco in Italia with the Festival d’Aix-en-Provence, Rossini’s Petite Messe Solennelle and Stabat Mater at the Whitsun Festival, and the Concert de Paris on Bastille Day with the Orchestre National de France alongside Anna Netrebko, Natalie Dessay, Piotr Beczała, and Elīna Garanča. Mr. Brownlee also performed recitals at the Grand Théâtre de Genève in Switzerland and with the Vocal Arts Society in Washington, DC. A non-operatic highlight of Mr. Brownlee’s 2013-14 season was an appearance with his friend and collaborator Damien Sneed in “Spiritual Sketches” at Lincoln Center’s American Songbook series. The concert featured songs from the critically-acclaimed recording of spirituals that Brownlee and Sneed released last season. Mr. Brownlee has been featured in nearly every major theater in the world and enjoys a relationship with many prominent conductors and symphony orchestras. Operatic highlights of Mr. Brownlee’s career include: La Cenerentola in Milan, Houston, Philadelphia, and the Metropolitan Opera; L’italiana in Algeri in Milan, Dresden, Boston, Houston, and Seattle; I Puritani in Washington, Seattle, and the Metropolitan Opera; Mosé in Egitto in Rome; Il turco in Italia in Toulouse and Berlin; Tancredi with the Detroit Symphony and on an eight-city European tour with the Orchestre des Champs-Élysées; La donna del lago in Santa Fe and Washington; Semiramide and L’elisir d’amore, both at the Caramoor Festival; Armida at the Metropolitan Opera; La fille du régiment in Hamburg, Cincinnati, and at the Metropolitan Opera; Salieri’s Axur, re d’Ormus in Zürich; L’ape musicale in Vienna; Il Barbiere di Siviglia in Geneva; Le Comte Ory in Vienna; and the world premiere of Lorin Maazel’s 1984 at Covent Garden. In the orchestral arena, he has been heard in Bach’s Magnificat in Cincinnati; Handel’s Messiah in Houston, San Francisco, Detroit, Baltimore, and Indianapolis; Israel in Egypt in Cleveland; Mozart’s Mass in C minor in Chicago and Baltimore; Carmina Burana with the Boston Symphony Orchestra at Tanglewood; the opening performance of Lincoln Center’s Mostly Mozart Festival; and highlights from Porgy and Bess with the New York Philharmonic, including a Live From Lincoln Center telecast. Mr. Brownlee has performed recitals at Carnegie Hall, the Kennedy Center, Lincoln Center’s Avery Fisher Hall, London’s Wigmore Hall and Rosenblatt Recital Series, Cincinnati’s College-Conservatory of Music, SUNY Potsdam, Cape Town Opera, in Atlanta and Tokyo, as well as various venues around the United States under the auspices of the Marilyn Horne Foundation. Mr. Brownlee’s discography/videography continues to grow impressively. In 2013, Delos released “Virtuoso Rossini Arias,” a collection of lesser known Rossini arias, after which Alex Ross of the New Yorker asked, “Is there a finer Rossini tenor than Lawrence Brownlee?” Mr. Brownlee’s critically-acclaimed “Spiritual Sketches” album, which is both a re-imagining of and a love letter to a musical tradition in which he was raised, features ten traditional spirituals arranged by Damien Sneed. In 2012, EMI released a recording of Rossini’s Stabat Mater, featuring Mr. Brownlee, Anna Netrebko, Joyce DiDonato, and Ildebrando d’Arcangelo, with Antonio Pappano leading the Accademia Nazionale di Santa Cecilia. Mr. Brownlee was also featured on a pair of DVDs: the Metropolitan Opera’s 2010 Live inHDrelay of Armida on Decca and Carmina Buranawith Sir Simon Rattle leading the Berliner Philharmoniker on EuroArts/Opus Arte (a CD version of this performance exists on EMI Classics). Other releases include an exploration of Rossini songs on Opera Rara; L’italiana in Algeri conducted by Alberto Zedda on Naxos; a live recording of Mayr’s Medea in Corinto from St. Gallen released by Oehms Classics; a DVD of the Metropolitan Opera’s 2009 production of La Cenerentola released by Deutsche Grammophon; his first solo disc on EMI Classics featuring Italian songs by Schubert, Verdi, Donizetti, Bellini, and Rossini, accompanied by Martin Katz; a live Il barbiere di Siviglia featuring Mr. Brownlee alongside Elīna Garanča, Giovanna Donadini, and Nathan Gunn on Sony; and a DVD of the world premiere of Lorin Maazel’s 1984 at Covent Garden on Decca. In addition to being a winner at the 2001 Metropolitan Opera National Council Auditions, Mr. Brownlee was named Seattle Opera’s 2008 Artist of the Year, received the Opera Company of Philadelphia’s 2007 Alter Award for Artistic Excellence, and was the winner of both the 2006 Marian Anderson and Richard Tucker Awards, a feat never before achieved by any artist in the same year. He participated in young artist programs at both the Seattle and Wolf Trap Operas. An Ohio native, Mr. Brownlee received a Bachelor of Arts degree from Anderson University and a Master of Music degree from Indiana University. He is a Life Member of Kappa Alpha Psi Fraternity Inc. Cycles of My Being: "This is their story."